I recently fitted aero bars to my commuter bike, and with bar end brake levers & V brakes there was no way to do any fine adjustment on the brakes. 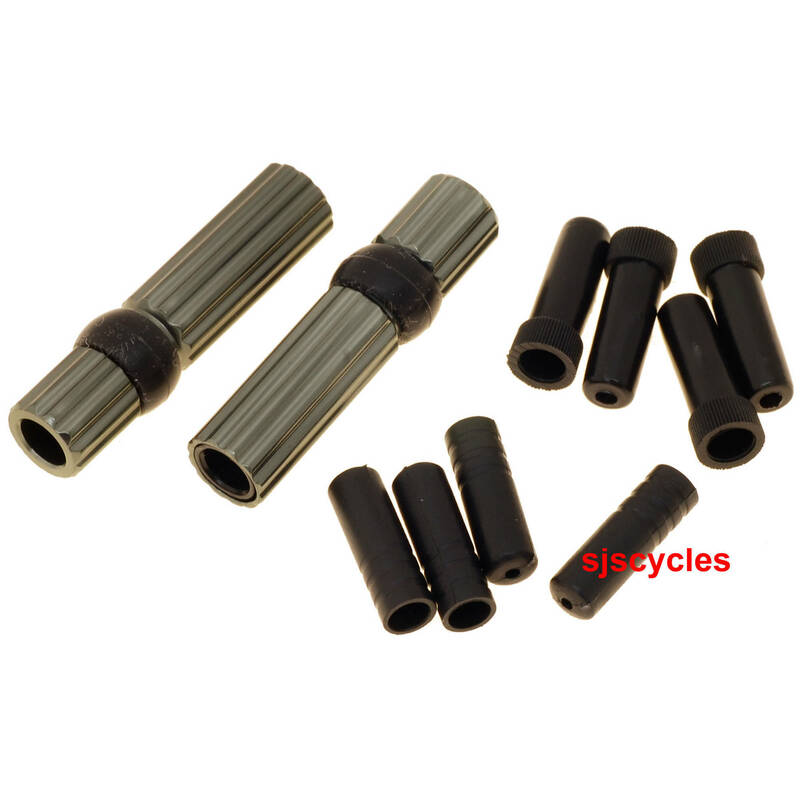 These are sold as gear cable adjusters but they work fine with brake cables. The thread on the adjuster is very fine, though, and the range of adjustment small, so the brake will have to be set up quite accurately anyway. At least I now have some means of fine adjustment! They are well made and feel nice, and come with various fiddly bits I haven't used. Is it for 5mm or 4mm? These are for 4mm outer gear cables. Good afternoon, I'm considering purchasing the Orgin8 Cable stop from you but need to also purchase some in line gear cable adjusters. Can you please let me know which ones are suitable. If you plan to run the down tube cable stop and the in-line adjuster separately then these M:Part ones will be fine. If you want to run the adjusters in the cable stops then I'd recommend using some like the Jagwire ones, they're not a perfect fit but they'll be the best, they're SJSC part number 24780.